Dr Sameer Jauhar recently received a well-deserved award from the new president of the British Association for Psychopharmacology (BAP) Professor Allan H. Young. Let me start with my competing interests. I am an NHS Psychiatrist of 25 years and much of my day to day work involves doing my best to help those who have developed, or may be developing dementia. I am also an artist and philosopher. I have been taking, as prescribed, paroxetine since 1998. In 2013 I petitioned for a Sunshine Act for Scotland. The Scottish public supported my petition. I am not a Critical Psychiatrist and I am not “anti-psychiatry”. I am not a scientologist. I follow no religion. One of my interests is in ethics. Dr Sameer Jauhar and Professor Allan Young conclude their critique by suggesting that they have the ability to“appraise literature in a scientifically objective manner”. However, it is the case that this same ability informed the “chemical imbalance” basis to the “Defeat Depression Campaign” that has now been confirmed as an ideology itself. As for the concerns about Dr Moncrieff being “selective with the narrative” this very same concern is the basis of the open-trials initiative. It seems to me that my College has absolutely no interest in learning from the past and harms that have resulted from the conflation of marketing with education. Rather, my College is pointing out to me that by raising concerns about this issue that I may not be following the College Code of Conduct. Whilst I have chosen not to be active through social media a friend of mine informed me of the following exchange in which this post of mine was discussed. I want to apologise for not always spelling Dr Sameer Jauhar’s name correctly. It was a genuine error. I recall spelling Prof Sir Simon Wessely’s surname incorrectly (Sir Simon being our immediate Past President) and indeed Sir Simon himself has spelled his own name incorrectly in replies to me. Professor Wendy Burn, our current President questioned if spelling a name wrong might be an “unconscious act of disrespect?” I want to make clear that this was simply an error by a fallible human. I do not know Dr Sameer Jauhar but from his writings and approach to mental health I recognise a thoroughly decent and respectful person. 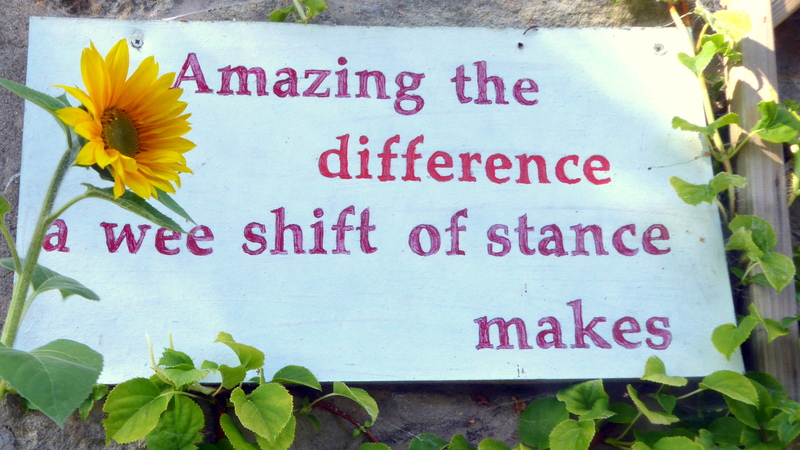 Dr Jauhar stands out from many of the online senior mental health professionals for his professionalism, compassion and willingness to consider a subject from a wee shift of stance. I made clear, at the start of my post that Dr Sameer Jauhar has no financial competing interests. As to the BAP Gala photo this was the most recent public image that I came across. I was looking for an image of Dr Jauhar receiving his medal from the President of BAP, Professor Allan C Young, but could not find any. My post was actually about this very subject. I apologise if it was poorly written or misunderstood. I was not wishing to “attack” or to be “hurtful” in questioning whether Dr Jauhar and Prof Young were not as vulnerable as the rest of us in their ability to distinguish “ideology over evidence”. 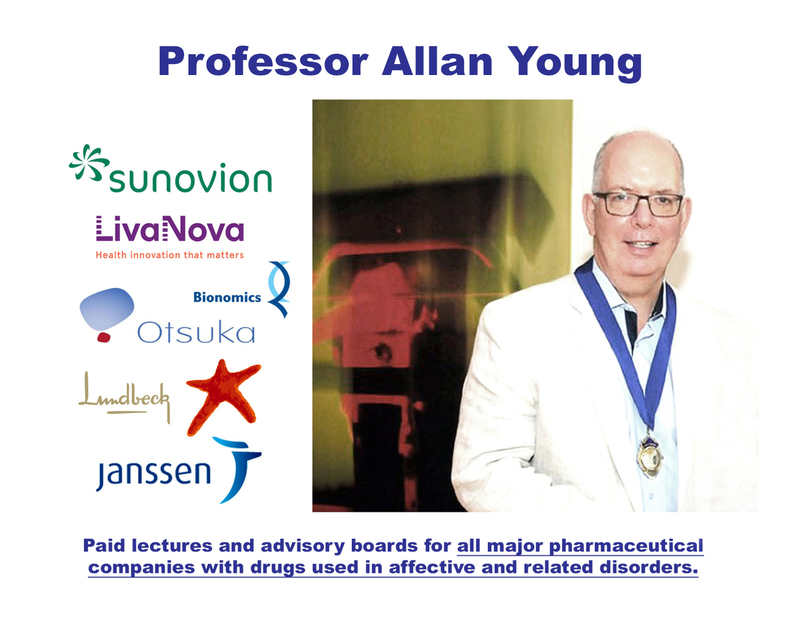 Here I was considering Professor Allan C Young’s career-long working relationship with the Pharmaceutical industry. The current crisis in the Cochrane seems to be, in good part, down to the very issue of financial conflicts of interest in science. Of course there are other sources of potential biases, but this is not an argument that should prevent us starting with the financial ones. It would be welcome if all the Royal Colleges and the General Medical Council publicly supported Sunshine legislation. I have worried about writing this post-script as I did not want to encourage argument but rather listening and sharing of different perspectives where we can all learn from one another. At least one contributor to this exchange clearly does not share my outlook: “how about trying to eliminate all of the anecdotes and just discuss the evidence?” It is my view that this is an artificial dichotomy that will serve to seriously hamper learning and create further argument about what constitutes “evidence”. I have written this post-script as I share Dr Jauhar’s genuine determination for this ‘wee shift of stance’ and in my view this sets him apart from most of his peers. My apologies Sameer for spelling your name wrong.